We all know about Dorothy's "ruby reds"....well, today they were a "glittering emerald green" at Eagle Cove School! 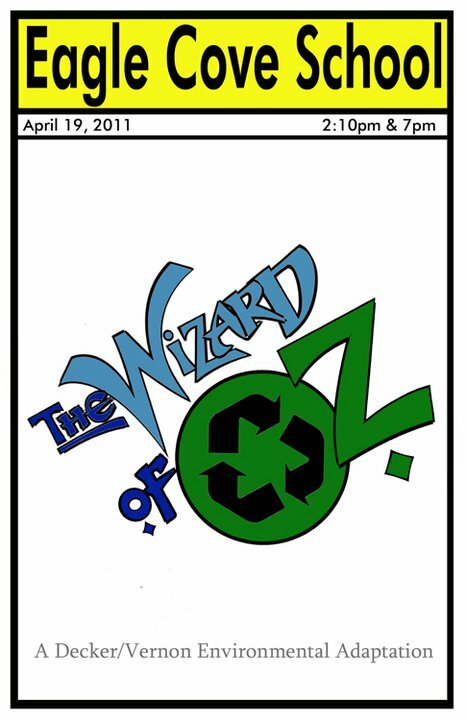 PreK'ers through 5th graders did two performances of the classic "The Wizard of Oz," but with a green, eco- minded tilt. This "green" version was written by our science teacher, Tim Decker, with the music and choreography created by music teacher, Colleen Vernon. Students have been working for weeks after auditions and giving up their recess to rehearse the scenes, learn the music, and design the props/ stage designs to be ready in time to perform it during our annual Bay Week. So today, Dorothy donned those "emerald greens" twice--once this afternoon, and then again tonight for a nighttime show for our school community. The Green Version of Oz takes us to Dorothy's "post-party" life where she gets one more gizmo she can plug-in in her over-plugged life. True to story (but minus the black-and-white to technicolor transformation), Dorothy finds herself empty-handed, without all of her STUFF, in the odd land of Oz. 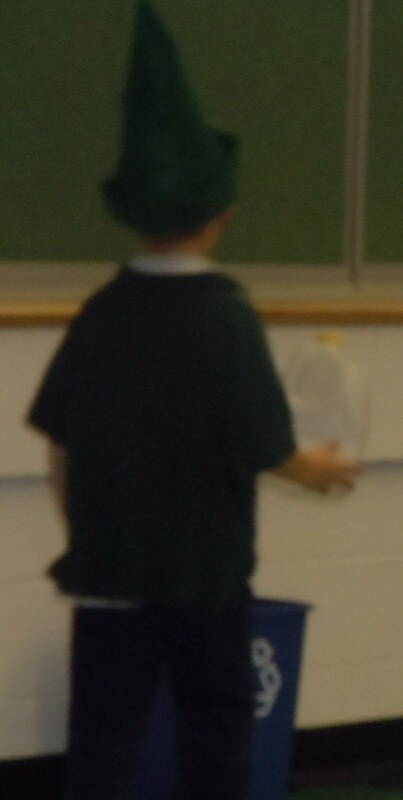 While there, she sees PreK and Kindergarten "Greenkins" bobbing around, cleaning up and "greening" up the very pristine and natural world of Oz by recycling. There, Dorothy meets the Wizard of Oz, and Dorothy proclaims in astonishment, "How do you LIVE without TV???" The Wizard sends Dorothy on her way to "follow her nose" (rather than the "yellow brick road") to take on a quest to retrieve some items to get herback home. Dorothy nose takes her to an area that smells a little smokey and overheated, where she meets the very illuminated "Wizard of Watts," who has on lights galore. Dorothy herself becomes illuminated by discovering the way to cut energy starts at the light switch, and she switches the Wizard of Watts out. She then follows her nose to an odiferous place--a junk of a junkheap where she meets "The Wicked Witch of Waste" [WWo'W]. As the WWo'W waves her arms over her glorious dump, cackling, "It's mine, all mine! My land grows every day," Dorothy finds the key to correct this situation lies in a recycle bin. It is there that the Wicked Witch of Waste cackles, "I'm shriiiiiiiiinking!" "The Earth is our home and if we keep treating it badly, it won't be a good place to live...There's no place like home....there's no place like home....There's no place like home." 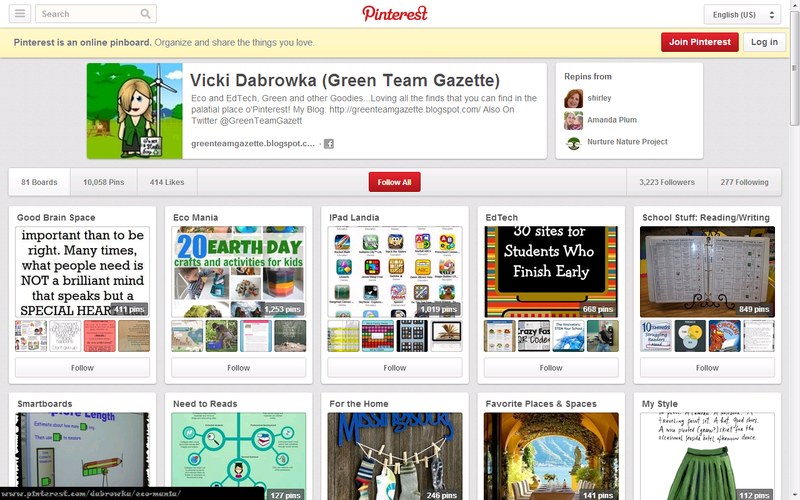 As Dorothy awakes, she has a new view on life, and adopts a new "green" attitude. A great performance...and a great reminder this week of Earth Day!! Hats off to the Decker/Vernon team, and all Eagle Cove School students who stole the show! !